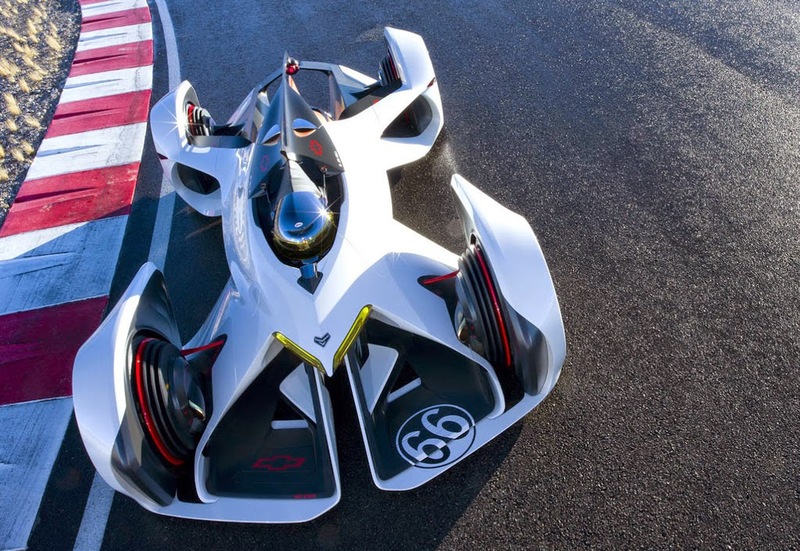 Chevrolet and Chaparral have a long racing connection, over 45 years in fact, and have created many special and innovative racing cars together. 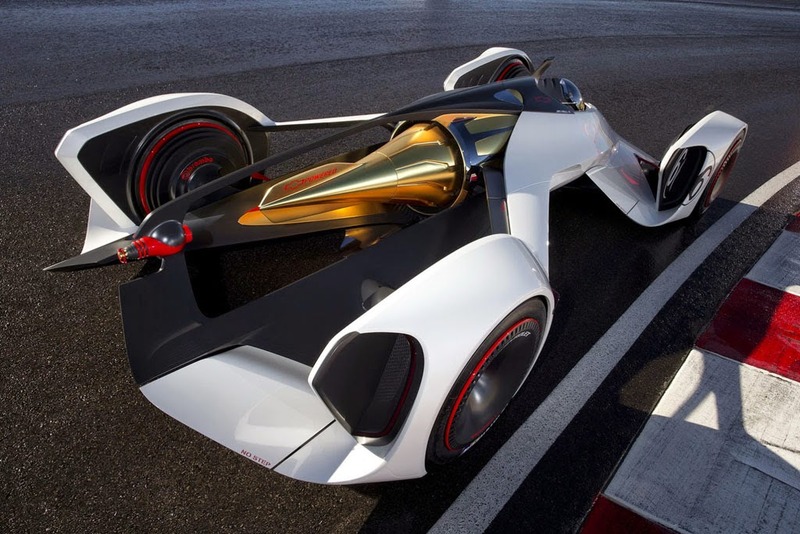 The Chevrolet Chaparral 2X VGT (Vision Gran Turismo) concept is their latest project, and it was created through a collaboration between designers at GM’s Advanced Design Studio, and Jim Hall, one of Chaparral’s founders and racing car designers. 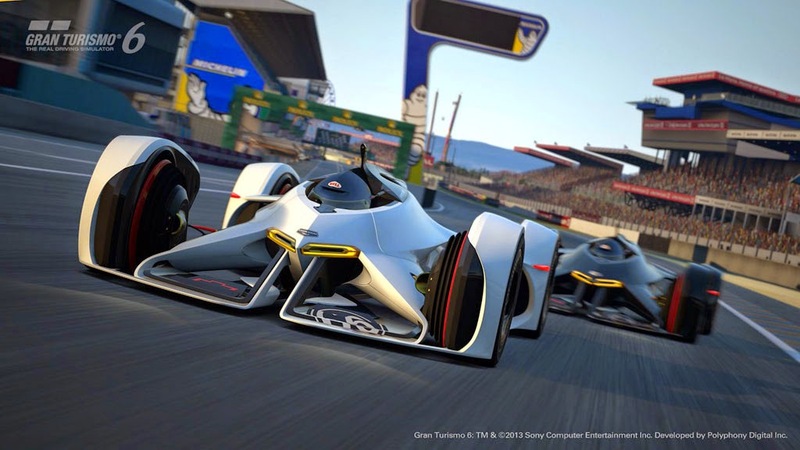 The Chevrolet Chaparral 2X VGT was created for the Gran Turismo 6 racing game, but at the same time a full-size model was also built for display purposes. 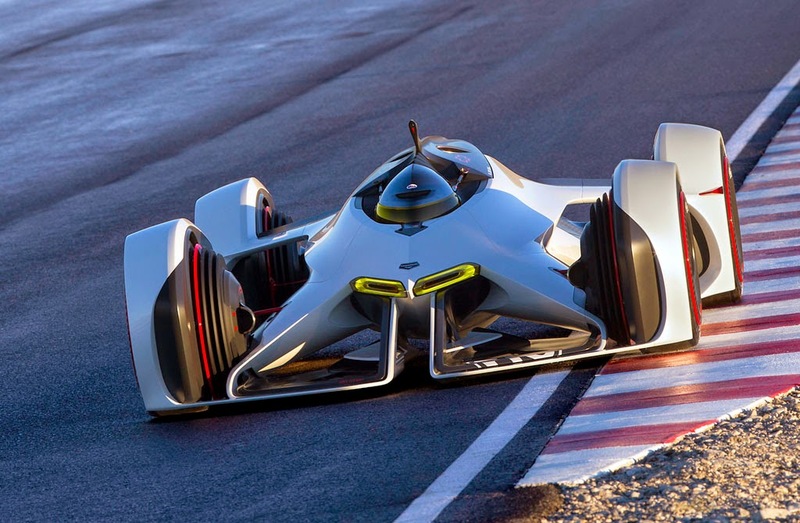 And just like the Chevrolet Chaparral racers of old, the 2X VGT is highly unusual and forward thinking. 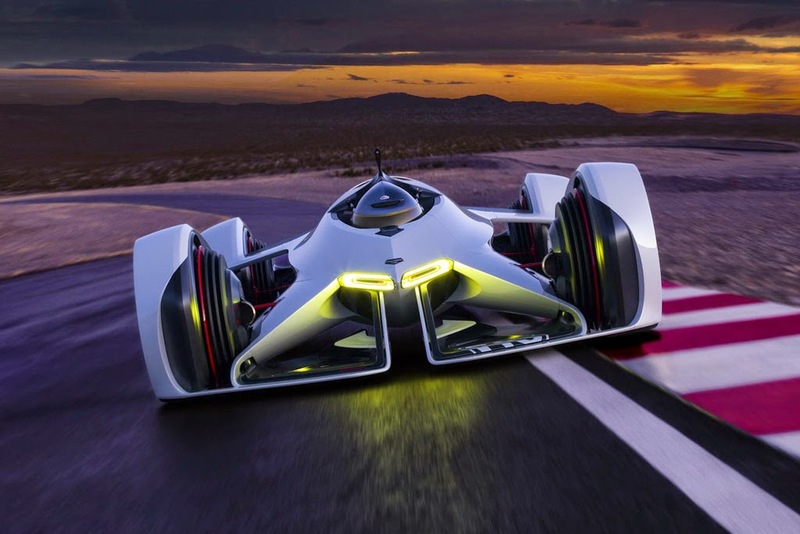 Although this time it might be a step too far..
Powering the concept, in the digital world at least, is a 671-kW laser, powered by a pack of lithium-ion batteries, and an air-powered generator to provide 900 horsepower worth of thrust. 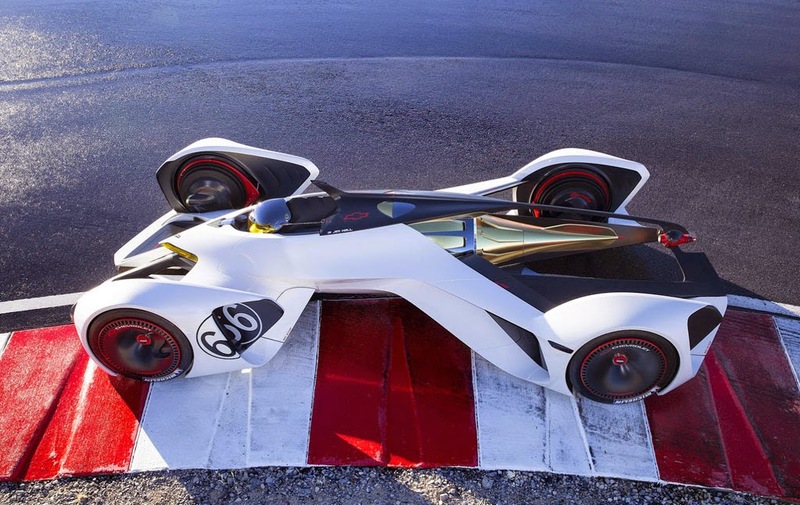 With this peculiar setup the Chevrolet Chaparral 2X VGT will be capable of 240 mph, and rocket up to 60 mph from a standstill in just 1.5 seconds. 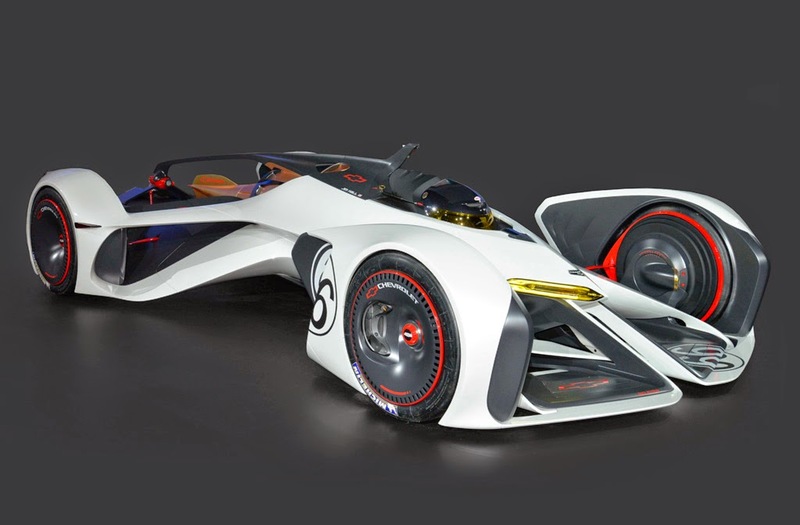 The Chaparral 2X VGT’s concept laser power system is inspired by advanced propulsion ideas for space travel and future aircraft design. It features a mid-mounted laser, which pulses beams of light that focus in a shroud, creating shock waves that generate the thrust. 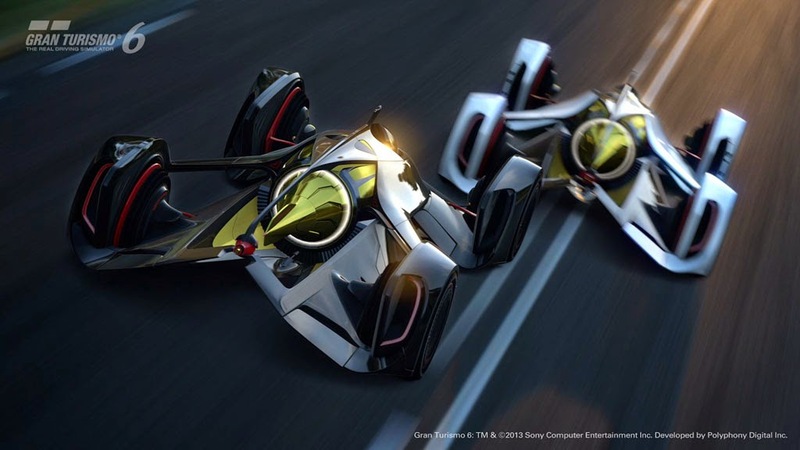 Based around a composite chassis, the car is extremely lightweight, and employs active, driver-controlled aerodynamics to reduce drag, increase the top speed and improve downforce for cornering.